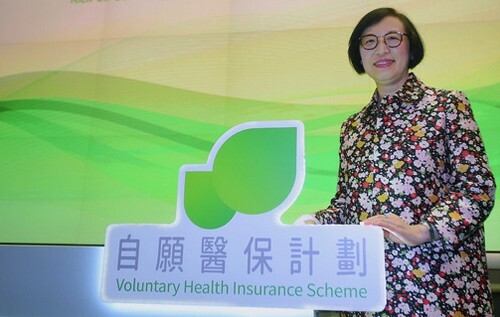 Hong Kong's voluntary health insurance scheme has finally come to life, after what's believed to be the longest incubation period for a public policy. Its birth yesterday represents a good start to keeping the SAR's overloaded public health-care system sustainable in the long run with an ageing population. A total of 25 insurance companies has joined the government-led scheme - offering 38 plans - including 25 standard and 13 "flexi" plans. The standard plans provide basic protection, including a claim of up to HK$750 for hospital room and food per day, at premiums averaging HK$4,000 annually. With additional premium payments, the flexi plans offer higher benefit limits and wider coverage. Hopefully, the community will find the voluntary scheme attractive enough for at least 1.5 million people to sign up in the first three years, so that the number of inpatients at public hospitals could be reduced by 5 percent by 2040. The government's target is modest, and I'm sure the public would be willing to join if health officials can keep up their efforts to encourage insurance companies to improve the standard coverage from what's currently available. It has been an extremely lengthy process for the health-care reform to arrive at what it is today. Well before the 1997 handover, officials had already started looking into ways to alleviate the burden on the public sector by possibly diverting some patients to the private sector, where they would receive affordable health-care services, so that public health care needed not expand as drastically as feared in the face of an aging populace. It was 20 years ago this month when the Harvard Report reviewing Hong Kong's health-care system was published and accepted by the administration of the day. Unfortunately, progress toward implementing those recommendations had been painfully slow as the insurance industry was largely uninterested in the idea. Obviously, its attitude has changed. It's a bonus to find the premiums being charged by the participating insurers for standard protection average lower than predicted. In 2017, the premium average for standard coverage was estimated at HK$4,800 per year. The premium reduction may be attributed to market competition. I have no doubt premium payments would have been higher if only a handful of insurers had joined the scheme. Naturally, it would be in everybody's interest to maintain a competitive market if the premiums are to be kept at affordable levels. Policymakers should be wary of the possibility that the scheme could collapse if competition breaks down to allow only a small number of players to dominate the market. It's encouraging to see 25 insurance firms responsible for 85 percent of the local market taking part in the voluntary scheme, with the authorities insisting on the two major criteria that protection must include pre-existing conditions unknown to the insured, and policy renewal is guaranteed until age 100. What we see today should only be the start - not the end of continual reforms - to keep our health-care system up to date.